How to have a second WhatsApp number on the same phone and use two accounts simultaneously: the solutions for Android and iPhone. On WhatsApp you can change the phone number associated with the account, but to date there is no official way to get a second number on the same smartphone. Neither on iOS nor on Android, there is any button to switch from one number to another according to your needs, but this does not imply that there are no alternative methods to use two different numbers on WhatsApp. Multi-account support can be useful in several cases: you have a business and personal phone and you are tired of always carrying around two devices to use WhatsApp. Or you broke your smartphone, and going to WhatsApp Web is useless since you can’t take a QR Code without a device with a connected Wapp number. You could use WhatsApp from a friend’s phone to get in touch with your family or partner, but how do you associate the second number with the already synchronized WhatsApp account? If for one reason or another you are wondering how to use two WhatsApp accounts on the iPhone or Android device you are in the right place, because you are about to discover third-party tricks and apps that allow you to do so. All the useful information on how to use and safety can be found below. Dual Space – Multiple Accounts & App Cloner. This is an app that creates a parallel space in the phone to simultaneously run multiple accounts on the same platform. From here you can download the so-calledWhatsApp twin app, which can then be installed on your smartphone (it will appear on the home screen as the “original”) choosing to change the name (eg WhatsApp 2) and color of the icon. At the time of the chat, you can select which of the two numbers associated with WhatsApp to use to send and receive messages, passing easily from one to the other. The app is useful and functional, but has two main drawbacks: advertising and the lack of notification alerts. Parallel Space makes it possible to have two WhatsApp accounts on the same phone without breaking the program policy and without having to activate the root. For now its use is mainly concentrated on WhatsApp, but Parallel Space allows us to virtually virtualize all the apps on the Play Store, thus doubling our accounts for any program. Be careful because these types of programs could be more cumbersome than WhatsApp, they require a large consumption of battery and memory for operations conducted in the background. Once you have downloaded Parallel Space you will have the possibility to open two WhatsApp windows: the native one and the parallel one. The two accounts work perfectly, there are no delays in switching between them. You can set these features even if you only have one number: this is because WhatsApp allows you to set up an account even if you don’t have a SIM inserted in your smartphone. To do this the procedure is simple: just get the control message on a phone with a SIM and then enter it on the phone without the SIM with which you want to connect to WhatsApp. Another very valid solution even if little known is WhatsApp Business, the version of the app for companies. 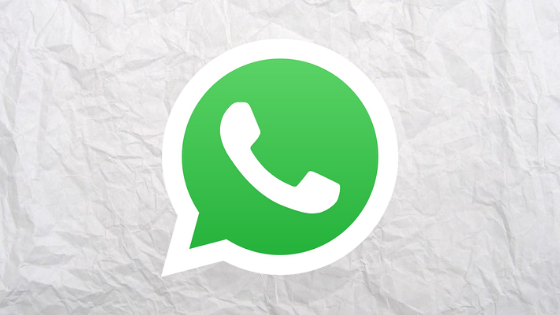 It is an application completely separate from the classic WhatsApp and can be connected to the second number in use on the double SIM. Another method to use two different numbers on WhatsApp in the case of an Android smartphone that supports it is the Guest mode. This allows you to connect to the device with another WhatsApp account on a parallel space of the device. Just create a guest profile from the drop-down menu and click on Add guest. Enter the newly created profile and download WhatsApp from Play Store, enter all the required fields including your phone number and, once the configuration is complete, you can use this and many other apps with two different accounts. Now that Apple has launched dual SIM iPhones can we finally use two WhatsApp accounts from the same phone? The answer is no, or at least not yet. iPhone XS, XR and XS Max with eSIM, enabled with the release of the iOS 12.1 update, are not available in most of the country. In any case, to use two WhatsApp numbers from the same phone, Apple should create support for cloning apps on the App Store, as is already the case on Android. To date, therefore, the methods to use two WhatsApp numbers on the same iPhone are more complicated and less secure than Android, but if you are curious to know them continue reading. 2) WhatsApp ++, enhanced version of the popular messaging app that does not require the removal of the original WhatsApp. Unfortunately it cannot be downloaded from the App Store but via TuTu Helper. This is an alternative store at the App Store where there are many versions of apps and games that have been cracked and modified with exclusive features. Among these there is also WhatsApp ++, with support for two accounts from the same smartphone. Once you find WhatsApp ++ you need to install it, but without opening it when the download is complete. You first need to go to Settings> General> Profile and device management> Beijing …, accept the certificate and authorize the use of the app. At this point you can open the app, enter the second phone number and configure the account. This method avoids jailbreak, but has drawbacks. Downloading cracked apps without buying the original version is a crime of piracy, and you will not be able to use the same number already in use with another app.